As a leading manufacturer of custom colorants, additives and specialty compounds for plastics, Ferco Color brings you the experience and expertise to provide the high quality products, unparalleled customer service at competitive prices. Ferco Color supplies colorants and additives globally. 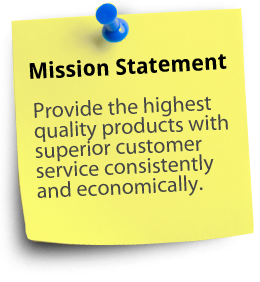 Our goal is to be number one in service, reliability and provide customers with superior technical support. We offer 24-hour turn around for color matches, samples and orders. We now have the ability to support ALL of your analytical testing needs, making us a one stop shop. FERCO Compounding is a fully equipped compounding facility with state of the Art support from “Einstein,” our analytical laboratory. We constantly strive to provide you with the best in all aspects. Our high-quality products are sure to provide you with exactly what you’re looking for. Ferco Color provides colorants for virtually every thermoplastic resin to the injection molding, blow molding and extrusion industries. In order to maintain the high quality standard of today’s marketplace. all color matches and production orders are subject to strict criteria.